This deer and bird were inspired by Kaiser Craft’s ‘Hummingbird’ collection of papers. It feels great to have been able to paint again. 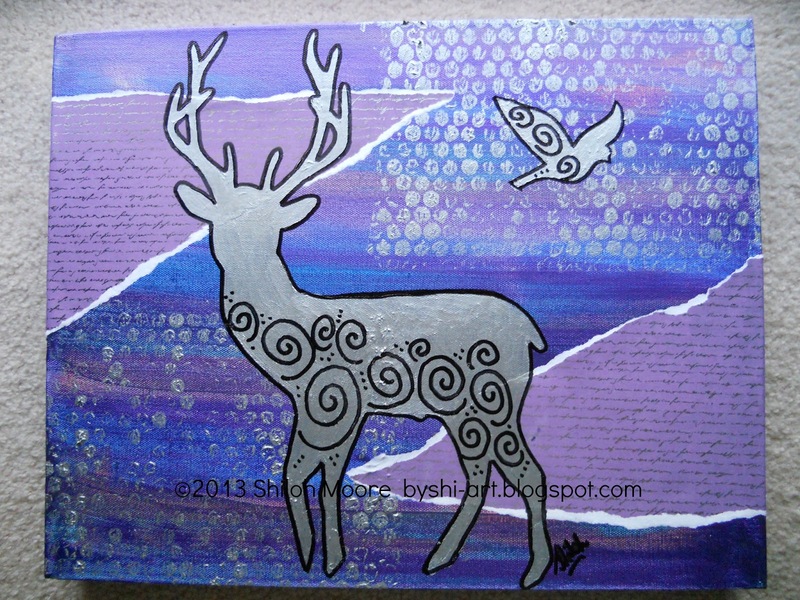 I really like this Shiloh, it inspired me to look at your other Spiral Animal pieces. This is definitely my favourite though, perhaps because it's a wild animal in it, I'm not sure. And I love the idea of using bubble wrap to paint with!